The finished product! This photo was kindly submitted by Thomas Barnes and shows restored 3265 at the Hunter Valley SteamFest, Maitland on 17 April 2010. The handsome P(6) class passenger engines were one of Australia’s most successful locomotive types and the backbone of the New South Wales Government Railways (NSWGR) passenger fleet for many decades. These fast and versatile engines were designed by Chief Mechanical Engineer William Thow in conjunction with Beyer Peacock & Co, Manchester, with an initial order for 50 locomotives. The type were immediately successful and grew to 191 examples over a period of 19 years, with most lasting in service until replacement by diesel-electric locomotives in the 1960’s. 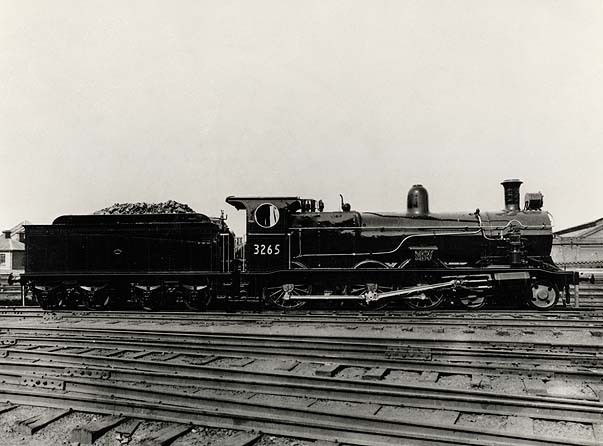 According to “Steam Locomotive Data” (the official source for NSWGR steam locomotive service records), 3265 entered service as P 584 on 6 January 1902 and became 3265 of the (C)32 class in 1924. 3265 was superheated in June 1933 before being condemned after 66 years and 2,965,840km of service on 21 October 1968. 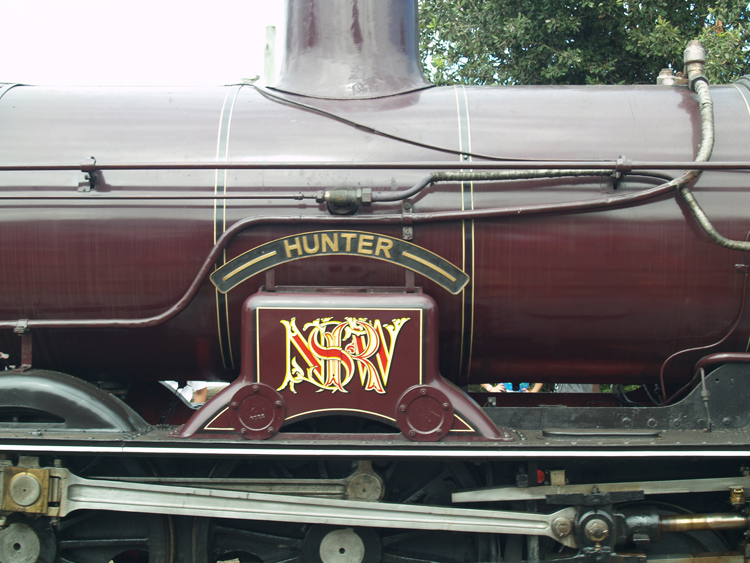 The WYONG, PARRAMATTA, HAWKESBURY, MACQUARIE and HUNTER nameplates survive today in the collection of the New South Wales Rail Transport Museum. 3265 is unique among the four preserved C-32-class locomotives as the only one to retain its original "low" frame design, most clearly seen by the curved frame extensions leading down from the smokebox to the front buffer beam. This contrasts with the higher replacement frames evident on surviving sisters 3203, 3214 and 3237, which rise higher above the running board and have straight extensions from the smokebox down to the front buffer beam. 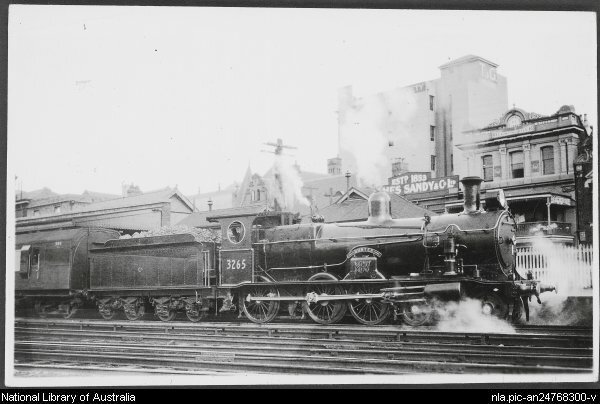 3265 was one of three NSWGR steam locomotives (1243, 3265 and 3830) retained for preservation by the Museum of Applied Arts & Sciences, which later became the Powerhouse Museum. These locomotives were moved to New South Wales Rail Transport Museum (NSWRTM) for storage following closure & demolition of the Enfield Roundhouses, with 3265 arriving at Thirlmere on 24 June 1975. 3265 was displayed at the NSWRTM Thirlmere from 1975 in company with other Enfield refugees but was rather rust-streaked and derelict during this phase of its life, having been in stored exposed to the weather for many years. 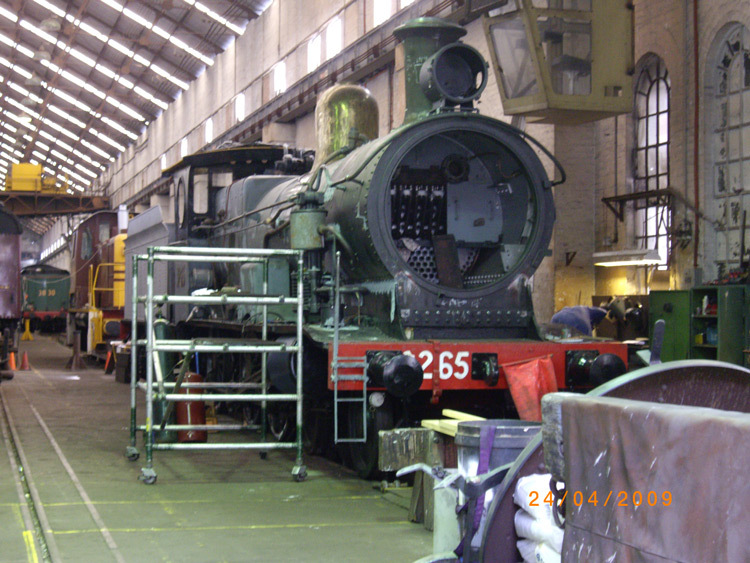 3265 moved to the Large Erecting Shop (L.E.S.) in the former NSWGR Eveleigh Workshops in approximately 1988 and a thorough restoration commenced ten years later in 1998. 3265 was stripped down, overhauled and extensively rebuilt including a new riveted tender tank and a new welded boiler. 3265 has now been returned to operation, having run a first trial run from Eveleigh to Meeks Rd and return in the evening of Thursday 2 July 2009. 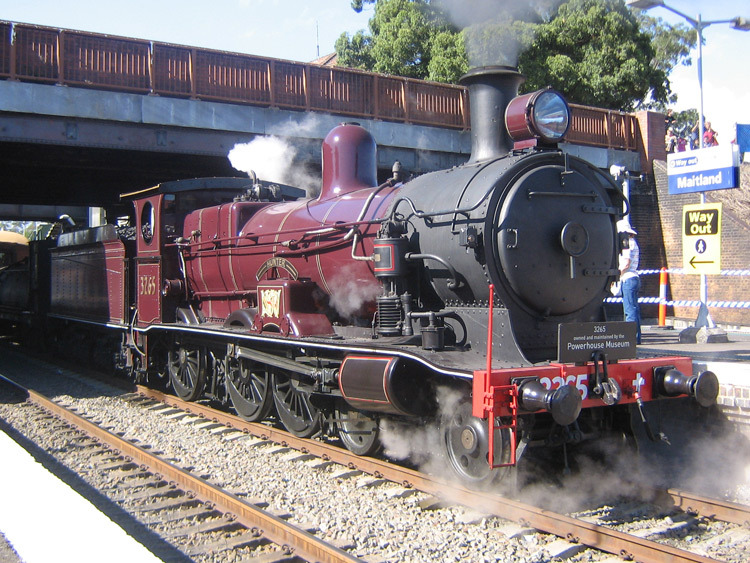 It carries maroon livery with its original "Hunter" nameplates attached and has been a regular performer on rail tours and enthusiast festivals such as the Maitland Steamfest. In recent years it has generally been based at Trainworks, Thirlmere. Ron Preston's book "Standards In Steam - The 32 Class" provides a comprehensive history of the NSWGR C-32 class locomotives together with many photographs of these locomotives in operation. 3265 "Hunter" at Newcastle railway station, 1934. Picture / John Buckland - National Library of Australia. Another historical view of 3265. 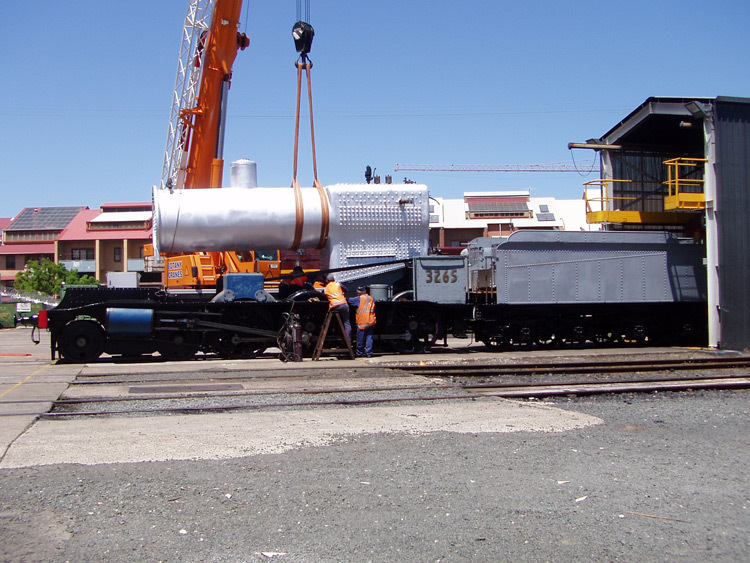 This view of 27 October 2008 is provided by Philip Isepy and shows the new welded boiler being lowered into the frames. 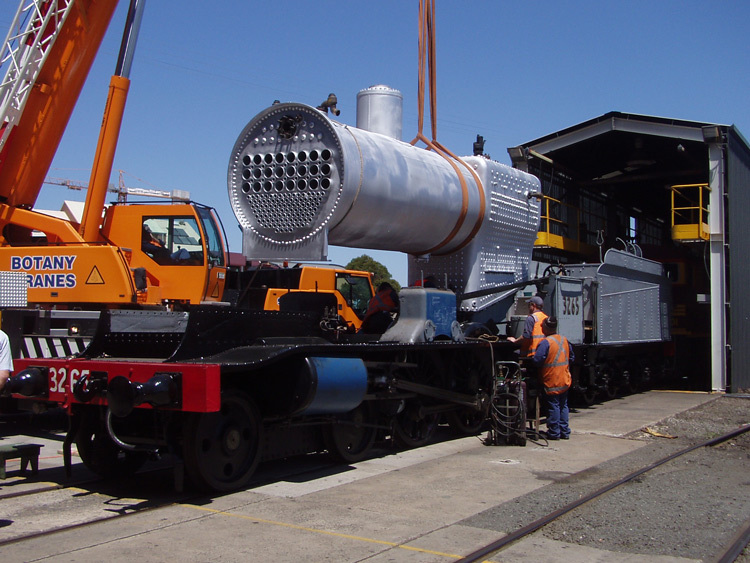 Here is a second photo of 3265 receiving its new boiler outside the L.E.S. Eveleigh on 27 October 2008; photo courtesy of Philip Isepy. This view of 15 April 2009 shows 3265 being reassembled within the L.E.S. Eveleigh; photo courtesy of Philip Isepy. Almost there! 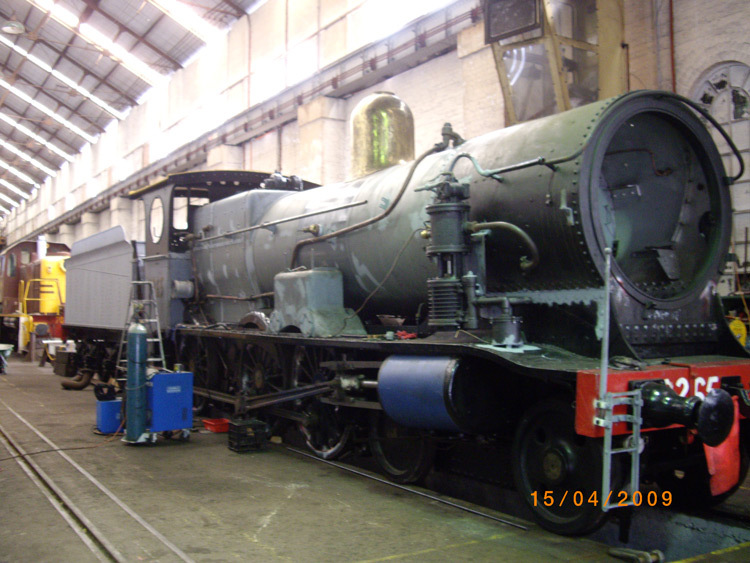 This photo of 24 April 2009 is kindly provided by Philip Isepy and shows 3265 inside the L.E.S. Eveleigh. The final components are being fitted after 3265's extensive overhaul and renewal. Public Transport Commission of NSW. published in 1987 by the New South Wales Rail Transport Museum. article "Museum on the Move"